This post was originally published on November 28, 2011 at https://jillkemerer.blogspot.com/. I recently read a novel but struggled to get into the story. Each time I put it down, I had no desire to pick it back up. Tempted to stop reading, I decided to forge ahead and figure out why it wasn’t grabbing me. I made a list of its strengths and weaknesses. – Excellent writing. The author balances dialogue, thoughts, action, and narrative with ease. – Modern, relatable characters. The hero and heroine (it’s a contemporary romance) are realistic and have believable conflicts and goals. Plus, I liked both of them. – Logical progression of plot. The story arc made sense and proceeded in a way I would expect. – Too many characters introduced in first chapters. This book is the second or third in a series, so extra characters should be involved, but too many too soon only confuses the reader. – Sunday drive pacing. While the plot progresses logically, it does not progress quickly. There doesn’t seem to be any urgency. – The hero and heroine do not share enough scenes in the first half. They are in scenes together, but they rarely interact. How are they supposed to fall in love if they don’t talk to each other? 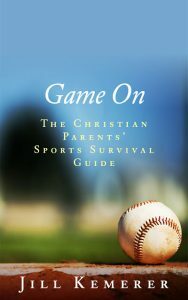 Not every book is perfect, and the strengths in this one more than offset the weaknesses. However, I pinpointed one major area that needed work. Each scene had a point, but the stakes were never high enough for me to want to read the next scene. Jack M. Bickham discusses what an effective scene accomplishes in his excellent book, Scene & Structure. I’m paraphrasing here, but basically each scene should be told from one character’s viewpoint, and the character must have a clear goal, which is obvious from the beginning of the scene. The character will then experience conflict in reaching that goal until the scene ends with the characterfailing to meet the goal. 1. Introduction of the viewpoint character’s scene goal. 2. Conflict threatening the character’s ability to reach goal. 3. Failure of character to meet goal. But…the character has to win sometimes, right? Yes. This is why it’s important to be clear about the character’s scene goal. If the book requires your heroine to convince her coworker to attend a wedding with her, you might choose to split the section into two scenes. The first scene will be told from her viewpoint. She gets the courage to ask him, he puts up a fight, and the scene ends with him refusing. But…he has to agree. It’s a vital plot point. Okay, no problem. The next scene will be in his point of view, and his scene goal will be to get out of the wedding invitation. But the heroine is very convincing, and he finds himself saying yes when he wants to say no. 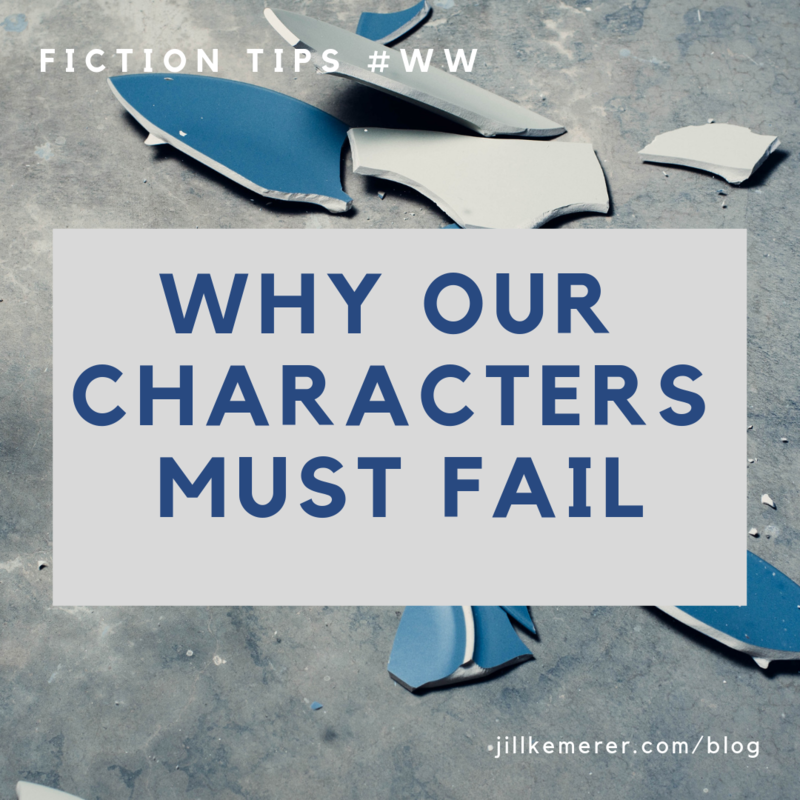 If we ignore the scene essential of the character failing, we waste an opportunity to keep the reader on edge. We could have written the previous scene in the heroine’s point of view and had her ask the hero to the wedding. He could still put up a fight, but in the end he agrees. The problem with this is that the heroine wins. As readers, we like to watch our heroes and heroines suffer. We love that gnawing feeling in our gut when things go wrong. We need the hero and heroine to fail repeatedly for us to keep turning the pages. If they only win, what’s the point of reading more? Our goal as writers should be to provide a sense of urgency–regardless what genre we write–and have the reader constantly ask, what comes next? How is the main character going to handle this? I’ve got to find out more! How do you keep readers on edge? Share your tips! 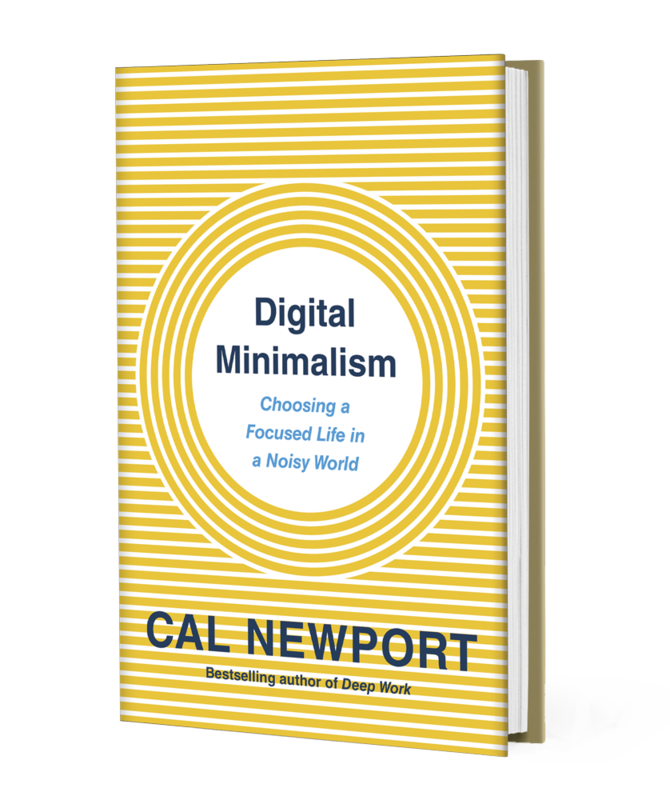 I’ve been eagerly anticipating Cal Newport’s new book–Digital Minimalism: Choosing a Focused Life in a Noisy World. I finished reading it over the weekend, and it lived up to my expectations. Learn more about DIGITAL MINIMALISM at calnewport.com. Basically, the book underscored what I already know to be true–social media, various phone apps, online browsing and being available 24/7 have decreased the quality of my life. The instant I feel a twinge of boredom, I reach for my phone. Scrolling through Facebook, Instagram, Pinterest, and various news sites often eat up precious evening hours. And I couldn’t tell you what I’ve gotten out of all the mindless scrolling! Another problem I have? If I’m working on my laptop and check in on Facebook, I feel anxiety over unanswered private messages (I don’t use Facebook Messenger on my phone and only get private messages from my laptop). Ditto for unanswered emails–even if I get them at 10pm! What happened to my free time? I willingly give it away and get nothing in return. In chapter one, Cal Newport spells out how the technologies we rely on (texting, social media apps, online news sites, etc…) are designed to trigger our addictive behavior. Yes, he cites studies and sources. And it all makes sense. The longer we’re “on” or using a site, the more ad-revenue the site can potentially make. These sites/apps are designed to keep us there. Scrolling through Facebook or Snapchat or Instagram feels harmless, but it isn’t. Our phones and apps have an addictive pull, keeping us from exerting the energy to do activities we deeply value and enjoy. The book provides a solution, and it makes sense. Basically, we can choose to minimize our digital life. The first step is to do a 30-day digital detox where you cut out all non-essential apps/sites/services and set rules around the ones you consider essential. At the end of the experiment, you decide which of these you want to keep and set rules for how you’ll use them. During the detox, you commit to aggressively fill your time with high-value activities. Think hands-on projects, actually being social (coffee dates, visiting friends), reading, returning to a hobby or starting a new one, even watching television or movies is fine as long as you’re enjoying them and not just zoning out. We only have one life. Our time is valuable. Using technology to relieve boredom can drag us into an unsatisfying cycle where we no longer have the “time or energy” to do things that add meaning to our lives. When we invest in activities that are meaningful to us, we’re less likely to feel unsatisfied with our lives. What am I doing about it? I haven’t started the 30-day detox, yet. But I already set rules around my cell phone usage. I deleted about half the apps on my phone–many of them were there by default anyhow. I also set times (and limits) when I could check in on my favorite sites. I have an auto-reply set up in Facebook Messenger to let people know I don’t check my messages after 5pm or on weekends. They’re welcome to email me, though. I also jotted down a list of activities I can replace my scrolling with. This will be the hardest part for me–sticking to things that require more effort than a quick swipe of the phone. One particular chapter in the book really stood out to me, and it was about physical work. It’s convinced me to add 30 minutes of cleaning, baking or organizing on weeknights. I hope I get the satisfaction promised! If you’re at all conflicted about your digital life, I urge you to buy the book. It’s terrific and timely and needed. Have you gotten sucked into the digital life? Are you conflicted about the way it’s changed your free time? By the way, the fourth novella in the RESORT TO ROMANCE SERIES launched yesterday!! 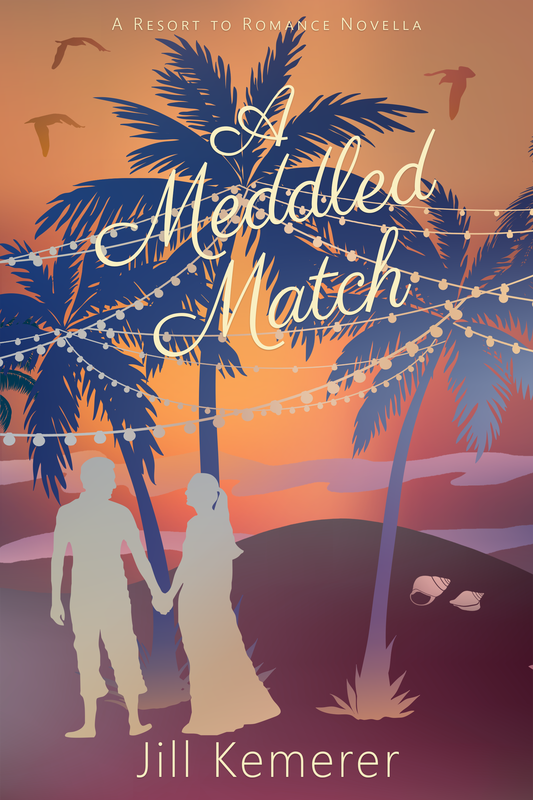 Try Moonlight Match by Kristina Knight! Our mega-giveaway is still going strong! If you haven’t entered yet, go to my HOME page and scroll down for the easy entry options! It’s the final Wednesday of January! Where did this month go? Well, around here it was buried under snow and negative temperatures, but I’ve whined enough on social media sites, so I’ll shut my mouth! It would be terribly easy for me to get writer’s block. Every day. I wish I was kidding! For me, getting started is the tricky part. Thankfully, there are a bajillion writing blogs out there, and I’ve experimented with various tips. Here’s what gets me back into my story each day. At the beginning of each writing session, I read through the previous scene. At the end of each writing session, I sketch out the next 2-3 scenes. If I didn’t do these two steps every time I sat down to write, I would stare at the screen for hours. Reviewing the previous scene jogs my memory and gets me back into the story quickly. And since I have the next 2-3 scenes outlined, all I have to do is review my notes to pick up where I left off. At the end of the writing session, I’m usually really tired. I’m always tempted to skip my prep work for the next day. But I don’t let myself. I know from experience if I don’t spend 5-10 minutes thinking of the next scenes, I’ll regret it. I’ll end up wasting time and creating more work for myself. No thanks! 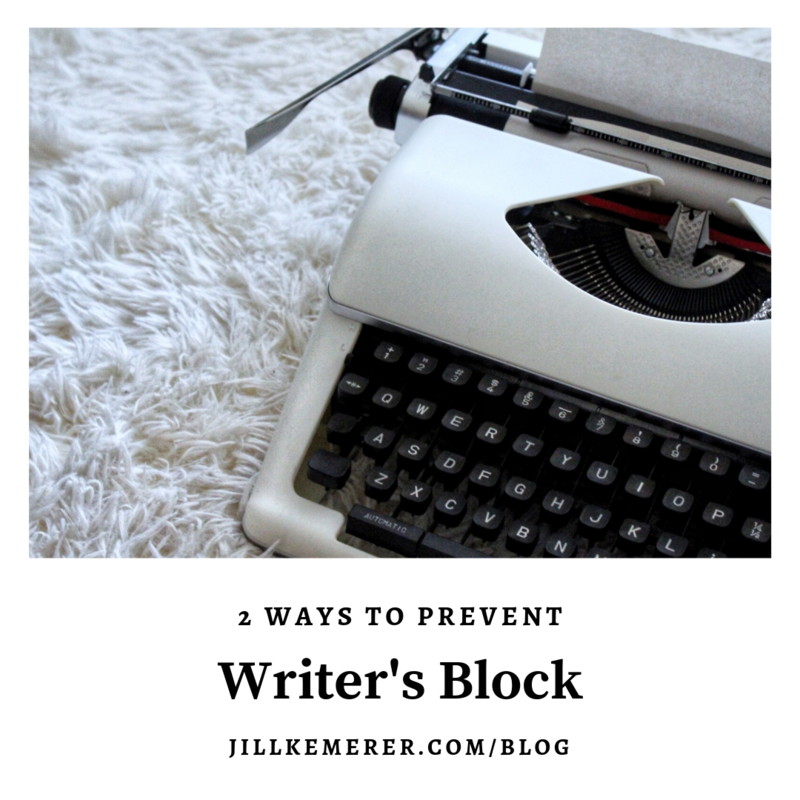 How do you prevent writer’s block? What gets you back into your story quickly? If you’re dealing with the bitter cold like I am, try to stay warm! If you’re in warmer climates, I wish I was there! Scenes build stories. How you begin and end them can mean the difference between a reader finishing your novel or tossing it aside. When you’re writing, it’s fine to put down whatever comes to mind so your brain can push through and get the draft on paper. But when you’re revising, it’s wise to analyze each scene’s hook and ending to make sure they’re pulling their weight. Here are my “rules” for how to start and end a scene. 1. Don’t bore the reader. Madeline slathered butter on the bagel. Stan had really crossed a line. Whoop-dee-doo. Does any reader care if Madeline has butter on her bagel or not? I don’t think so. And while the second sentence gets more to the heart of the matter, the first sentence is what counts. She wanted to chuck her bagel at Stan’s head. The nerve of him, treating her like a five-year-old in front of her boss. 2. Give transition details early in the scene. Readers need to know how long it’s been since the previous scene, whose point of view we’re in, the location, and any other pertinent setting information. Don’t make them guess! She wanted to chuck her bagel at Stan’s head. The nerve of him, treating her like a five-year-old in front of her boss. Madeline peeked out of the break room but saw no sign of him. Good. After this morning’s humiliating meeting, she hoped he crawled back to corporate headquarters where he belonged. 3. Tease the reader at the end of a scene. “Verify your numbers with this.” Stan’s tone was as icy as his blue eyes. She snatched the report out of his hand. She’d verify them all right. And if he questioned her expertise again, she was taking the other job offer, even if it meant a cut in pay. No job was worth this. 4. Check scene hooks and endings. A quick and easy way to make sure these openings and closings are doing their job is to copy/paste the first and last sentence in each scene in a separate file. When you have them pasted one after the other, it’s easy to spot the duds. Try it! I always find a few that need punching up. 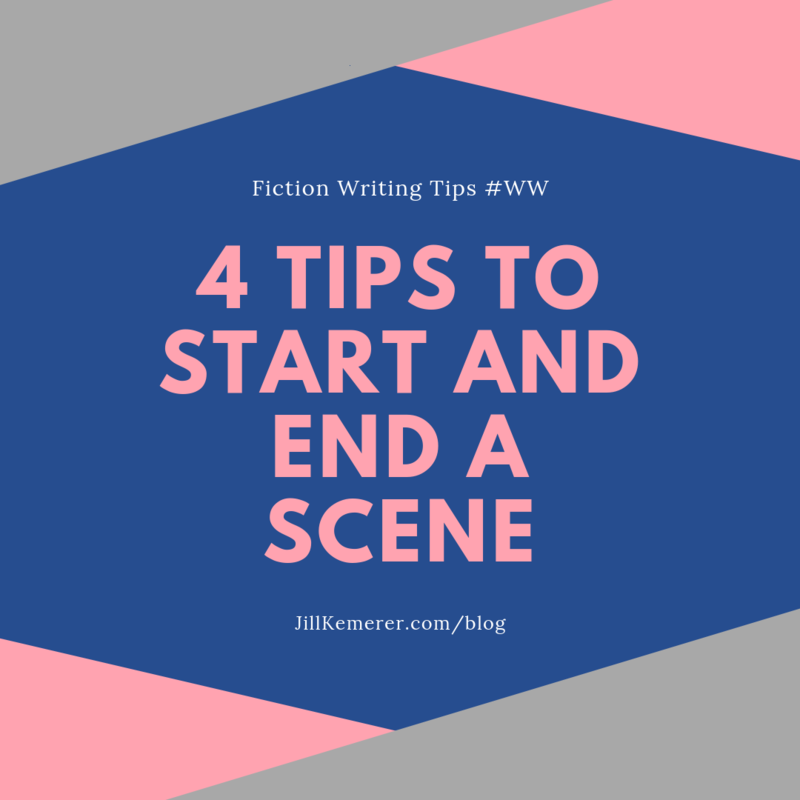 What are you tricks to start and end scenes? I’d love to hear them! Are some mistakes beyond redemption? When former NFL star, Chase McGill, invites Courtney Trudesta, the widow of his former teammate, to spend Christmas with him and his son in Lake Endwell, he simply wants to repay her for the weekly letters she sent while he was in prison. He didn’t expect to fall for her. 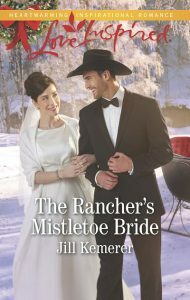 Chase regrets his past and knows it will take more than sugarplums and wishful thinking to heal Courtney’s lonely heart. 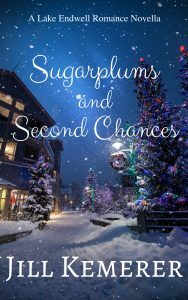 But with a dose of small-town charm and plenty of Christmas cheer, they might have a second chance at happiness…with each other. 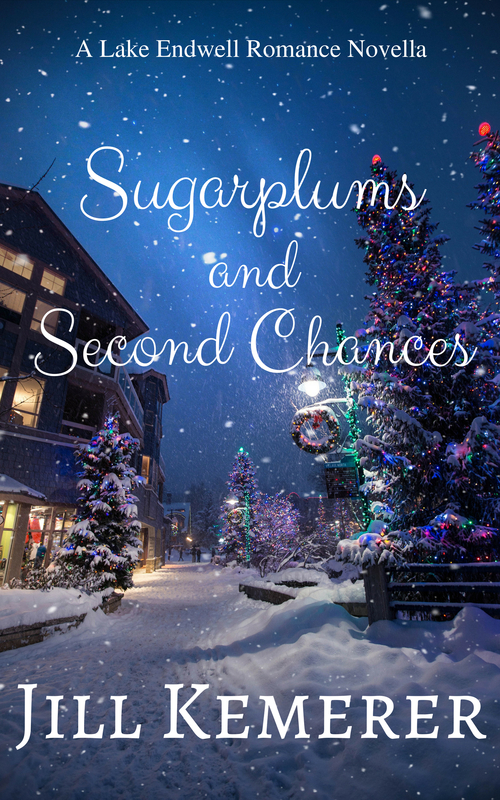 Sugarplums and Second Chances is only $0.99 on Kindle. Purchase HERE! 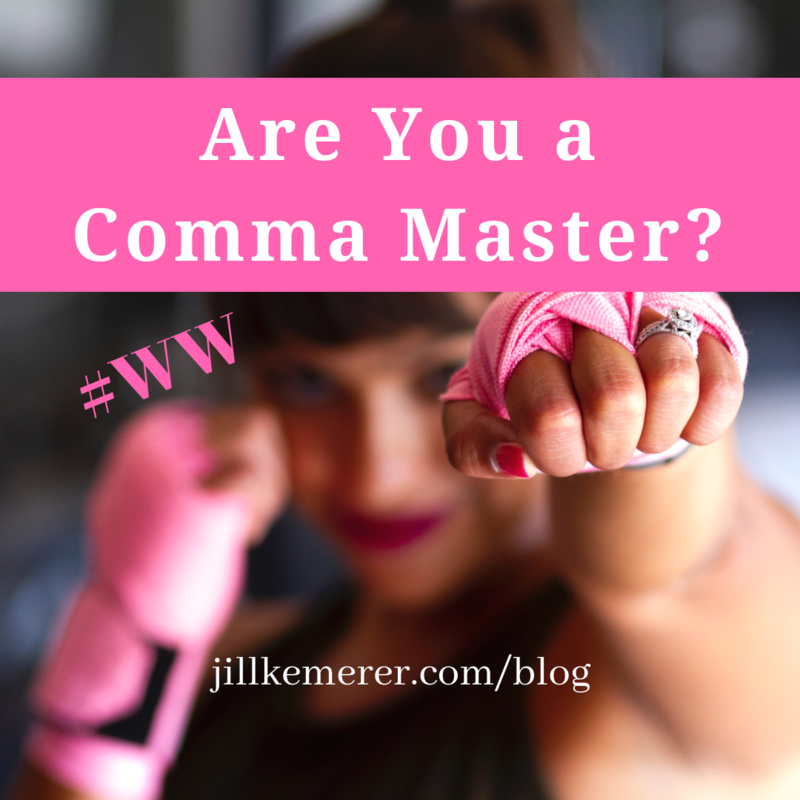 Are You a Comma Master? I consider myself at intermediate level when it comes to comma placement. No matter how much I edit, I always find spots where I’ve misplaced them. Since I’m in the line-edit phase of a project, I’m overthinking the whole comma thing. Yesterday I got out my cheat sheet, a grammar book, and a CMOS style guide. I still had to look up specific examples online! Let’s tackle the basics (thank you, Jan R., for graciously sharing these with me years ago!). before a coordinating conjunction joining independent clauses. after introductory phrase, especially if dependent. between items in a series. on either side of a nonrestrictive word group. to set off parenthetical expressions. where there might be confusion without one. For a more thorough breakdown of comma usage, are a few sites I’ve bookmarked. How are you with commas? Do you have any tips, sites, or books to recommend? I’d love to hear! It’s been a tad busy here with summer baseball still going strong and a few deadlines I’m hurtling toward, so I’m keeping this short. Last Saturday at writer’s group, we discussed various three-act plotting beat sheets. I thought you might enjoy them, too. Michael Hauge has a fantastic Structure Chart to print out and keep handy. Download Michael Hauge’s Six-Stage Structure Chart here. If you need help understanding the terminology in the structure chart, Janice Hardy broke down the stages in this excellent post. Read Janice Hardy’s “Plotting with Michael Hague’s Six-Stage Plot Structure” here. Blake Snyder’s Save the Cat has a fantastic take on the three-act plotting structure. I’m a big fan of Blake Snyder’s Save the Cat beat sheet. I’ve found two terrific resources about it. Read Tim Stout’s “The Blake Snyder Beat Sheet (aka BS2)” here. Find Jami Gold’s take on Blake Snyder’s beat sheet (with scene and page breakdowns) in her Worksheets for Writers section here. Finally, it’s easy to burn out as a writer. I loved this practical article by Beth Wangler (via Hannah Heath’s blog) with nine ways to avoid it. 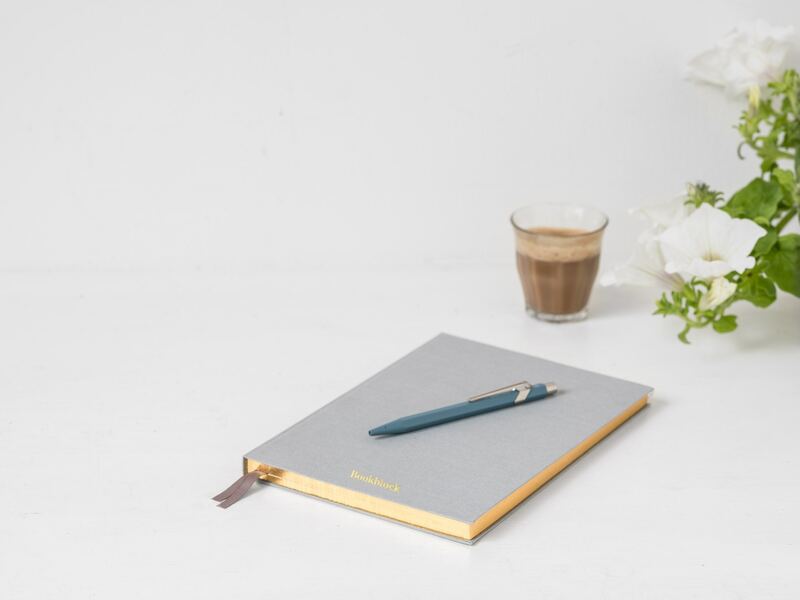 Read “Don’t Write Every Day: 9 Ways to Rest and Rejuvenate” by Beth Wangler via Hannah Heath’s blog here. How is your June going? What advice have you gotten lately that resonated with you? I was at the library last week–shocking, I know–and came across a delightful book in the new nonfiction section. 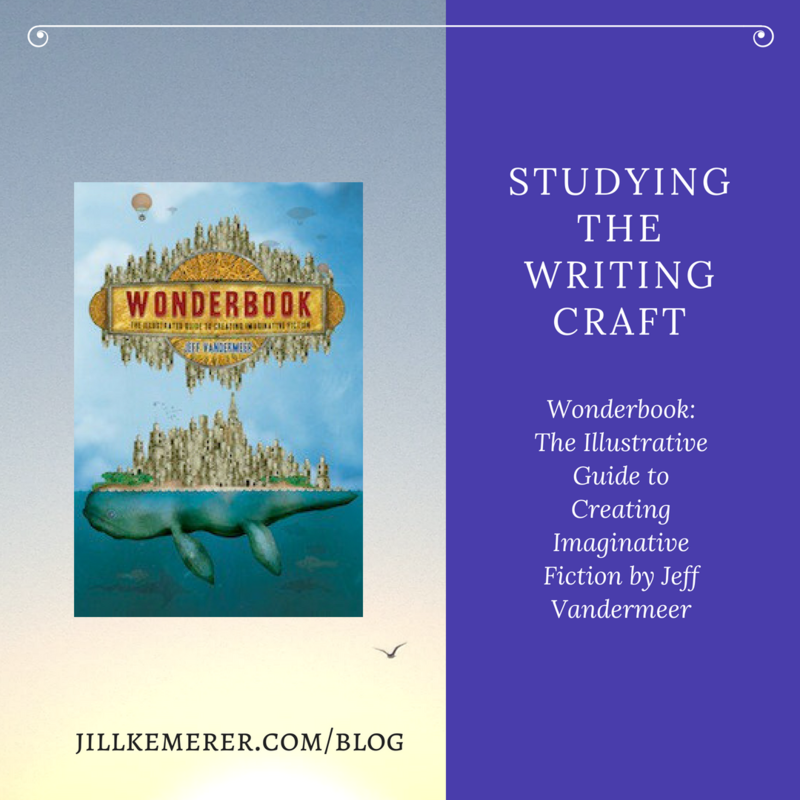 Wonderbook: The Illustrated Guide to Creating Imaginative Fiction by Jeff Vandermeer has an engaging, whimsical cover, and I had to pick it up. With stunning graphics, author essays, and entertaining chapter subheadings, Wonderbook was sure to be right up my alley. I haven’t had a chance to dive into it in depth, but I’ll be taking it chapter-by-chapter until I finish. I have a feeling this will be one I buy for my writing-craft shelf. One of my goals this year is to consistently study and apply writing craft techniques. This spring I brushed up on several chapters of Donald Maass’s The Fire in Fiction, a book I’ve read more than once. It’s really good. And I’m excited to find other craft books to return to again and again. One thing I’ve noticed over the past few years is that more nonfiction books are being printed on thicker, glossier paper with ample photographs and illustrations. I’m drawn to these books. Visual aids always help me! Anything that breaks up the text keeps me engaged–bullet points, subheadings, graphics, charts, you name it. Wonderbook is full of them. 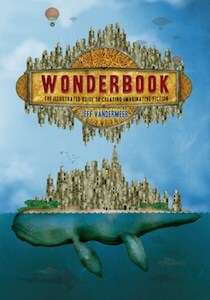 Here’s the cover of Wonderbook. This all-new definitive guide to writing imaginative fiction takes a completely novel approach and fully exploits the visual nature of fantasy through original drawings, maps, renderings, and exercises to create a spectacularly beautiful and inspiring object. Employing an accessible, example-rich approach, Wonderbook energizes and motivates while also providing practical, nuts-and-bolts information needed to improve as a writer. Aimed at aspiring and intermediate-level writers, Wonderbook includes helpful sidebars and essays from some of the biggest names in fantasy today, such as George R. R. Martin, Lev Grossman, Neil Gaiman, Michael Moorcock, Catherynne M. Valente, and Karen Joy Fowler, to name a few. Since my laziness factor can get REALLY high, especially in the summer when beach reads are calling my name, I schedule study time. If a craft book has long chapters, I will tackle a portion of a chapter per session (I aim for three sessions a week). If the chapters are short, I study a chapter at a time. I write out notes on paper then type them into a digital notebook (I use OneNote) for easy access. Sometimes a book doesn’t grab me, and I give up on it, but most of the time, I get a lot out of the craft books I read. One nice thing about Wonderbook is that it has a dedicated website with gobs of extras. You can find out more at www.wonderbooknow.com. How do you study the writing craft? What are your favorite resources? Please share! 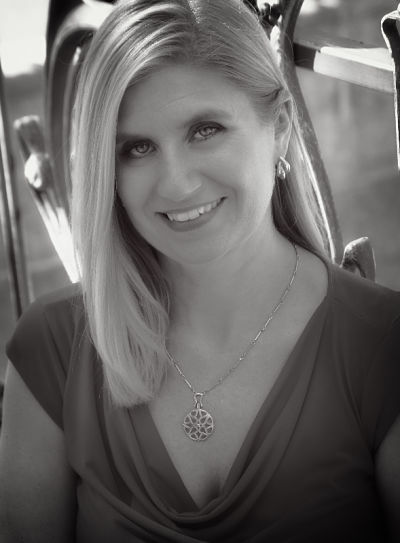 Jill Kemerer is a participant in the Amazon Services LLC Associates Program, an affiliate advertising program designed to provide a means for sites to earn advertising fees by advertising and linking to amazon.com. On Saturday I gave a presentation at the Researching the Romance academic conference (#BGSURomCon18) hosted by the Browne Pop Culture Library at Bowling Green State University, which happens to be the official repository for Romance Writers of America (RWA). It was an amazing conference. I learned so much from professors, university librarians, archivists, grad students and others who traveled from all over the country. And, guys, Beverly Jenkins was the guest of honor. She blessed everyone with her insight, wisdom, graciousness and humor. Since researching settings can be difficult, I thought I’d share my topic with you. Here it is! A novel’s setting is important because it shapes the story and influences the characters’ thoughts and actions. 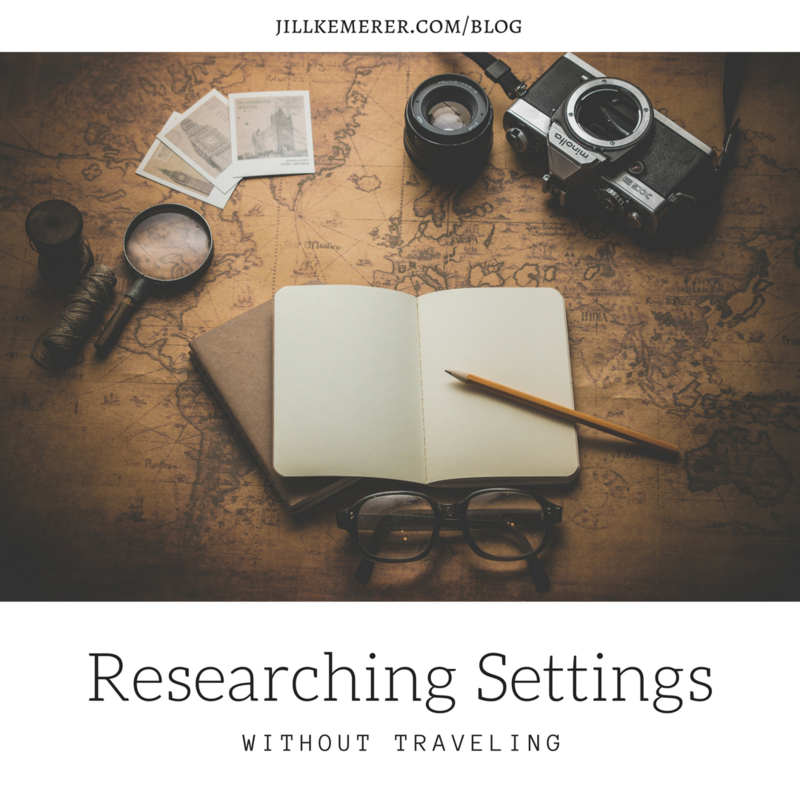 Ideally, a writer will be able to visit an area before writing about it, but there are two big reasons why authors don’t always travel to research a setting. Time and money. We don’t always have time to jet off to Paris or drive to Georgia, and traveling can be expensive. But with the right tools, we can be confident we’re getting the setting right for our readers. I take a three-pronged approach to researching setting–Internet, Print, People. This method goes from big picture to small details. I usually have a general area or town in mind when I’m deciding where to set a new novel. The first thing I do is spend time on the internet and start gathering basic material. Print out a map of the area. “See” it through Google Earth/Google Images. Verify the images have been tagged correctly. Some images are clearly not what they say they are. Gather and print a year’s worth of weather data. It’s important to know typical highs/lows and precipitation. Find out what economics drive the area. Is it a dying town? Thriving? What are the demographics? What are the typical jobs? How much does it cost to live there? Read a brief history. Who settled it? What interesting facts emerge? Browse through travel guides/visitors info. What are the local attractions? These might trigger plot ideas. Check out homes through Realtor.com. What are the preferred styles? How much do they cost? Can I use this information as an area of conflict for a character? Search for blogs set there. 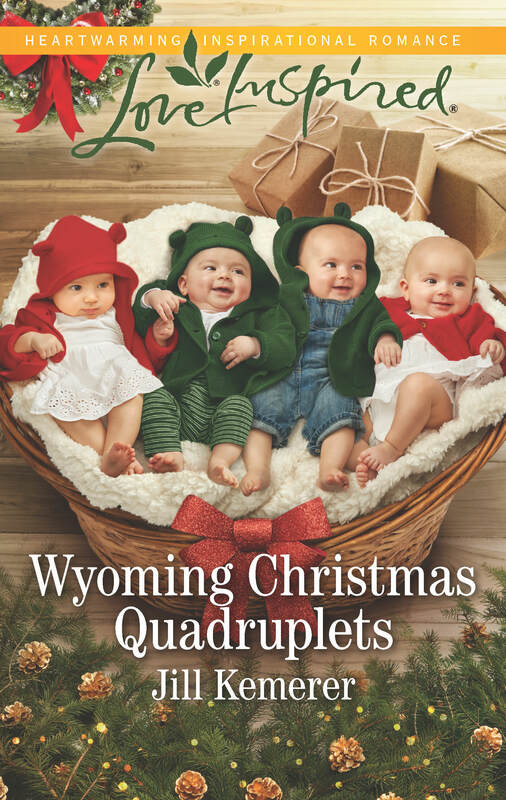 For instance, when researching my Wyoming Cowboys series, I searched for “Wyoming ranch life” and found several blogs, full of pictures and rich details. “See” the area by searching YouTube—people GoPro everything! At this point I have a good idea of the setting basics. I’m ready to narrow my research down to get “the flavor” of a place. So I move to print materials. Memoirs set in the area (or general vicinity) will give you a more complete picture and plenty of details to make your setting come to life. Magazines. Regional magazines (Midwest Living, Alaska, Sunset, etc…) will give you fun facts and pictures. Ask librarian for help. Librarians know where to look beyond the travel section for information on specific places. Ask them! DVDs–documentaries and travel specials can be fun to watch! Now I’m getting ready to write, but I usually have a list of picky questions I can’t find answers to. Example: How young is too young for a child to start riding a horse in Wyoming? Answer: Many children ride as soon as they can walk! How did I find this out? I asked people who live there (Thanks, Bree!!). How did I find these people? Social media. Social Media. Get on Facebook, Twitter or even Google+ (there are communities for just about anything on G+) and ask specific questions “Hey, is anyone from X? I’m writing a book, and I’m wondering about Y. Put the word out to friends that you’re trying to find information about your setting. Chances are someone you know has a cousin/best friend/uncle’s first wife’s boss who lived there. Find out if they would be willing to answer a few questions. You can set up an interview (email, video, or phone) to pick their brains about the area. Researching in person is ideal, but when finances are strained and you have no time, you CAN accurately reflect a setting if you work hard and DO sweat the details. What are your secrets for researching a setting without traveling? Please share! One thing I love about internal conflict is that a character recognizes she is emotionally protecting herself from something and thinks she knows why, but as the story progresses, she realizes the reason goes deeper. Until she’s willing to be vulnerable and admit the emotional walls she’s erected are stifling her, she won’t be able to emotionally grow. Does it matter if she grows? YES! When I’m reading a book, I fall in love with characters. I WANT to see them succeed. I want them to become their best selves and live full lives. If a character ultimately stays the same and shows no growth, I’ll be disappointed. Of course, this doesn’t mean the character starts off with massive flaws that turn everyone off. No one will stick around long enough to read about her growth! Internal conflict starts with a deep emotional need. This need has been complicated by previous experiences. The character has convinced herself the need will not be met because of the past complications. Throughout the story, this belief is challenged until she chooses to be vulnerable enough to have the ultimate need met. What happened in the character’s past that caused him to erect emotional walls? What reason does he give himself to emotionally protect himself? What deeper fear underlies this explanation? How can the plot further challenge and develop his conflict? How do other characters force him to question if he needs to continue to protect himself? What will be the catalyst for him to acknowledge the deep fear keeping him from living his best life? What decision will the character make to tear down the emotional wall for good? Let’s take an example. We’ll look at Lauren’s internal conflict in my book, Hometown Hero’s Redemption. A former social worker, Lauren feels she failed to protect the two boys she’d been assigned. She can’t forgive herself and doesn’t want to work with troubled kids ever again, lest she repeat her failure. As a former foster child, she was shuffled to different homes and as a result, grew a false belief that she had to be perfect to be loved. She is asked, refuses, and is finally convinced to babysit a kid who has been emotionally devastated. Being around Wyatt challenges her beliefs–at times she feels like she’s failing him, other times she knows she’s helping–and it confuses her. Drew, Wyatt’s guardian, thinks she’s amazing. And as they grow closer, she opens up to him about her regrets. He helps her see herself in a more accurate light, and as she spends time with him, she starts to realize her emotional walls aren’t just because she failed the boys. She unpacks her childhood and sees how she’s equated being perfect with being worthy of love. Wyatt vanishes. In Lauren’s mind this proves she was right–she should never have worked with a troubled child. And it reinforces her fears that this is the proof that will drive Drew away. He’ll see she’s not perfect. She failed him and Wyatt and is not worthy of their love. She pushes Drew out of her life. Lauren comes to terms with the fact she’s not perfect, never will be, and doesn’t have to earn anyone’s love. Internal conflict is rooted in fear. The character doesn’t want to face this fear and often tells herself a half-truth to explain it. But as the plot progresses and her beliefs are directly challenged, she is forced to acknowledge the real fear holding her back. And ultimately, she chooses to be vulnerable, allowing this deep emotional need to be met. 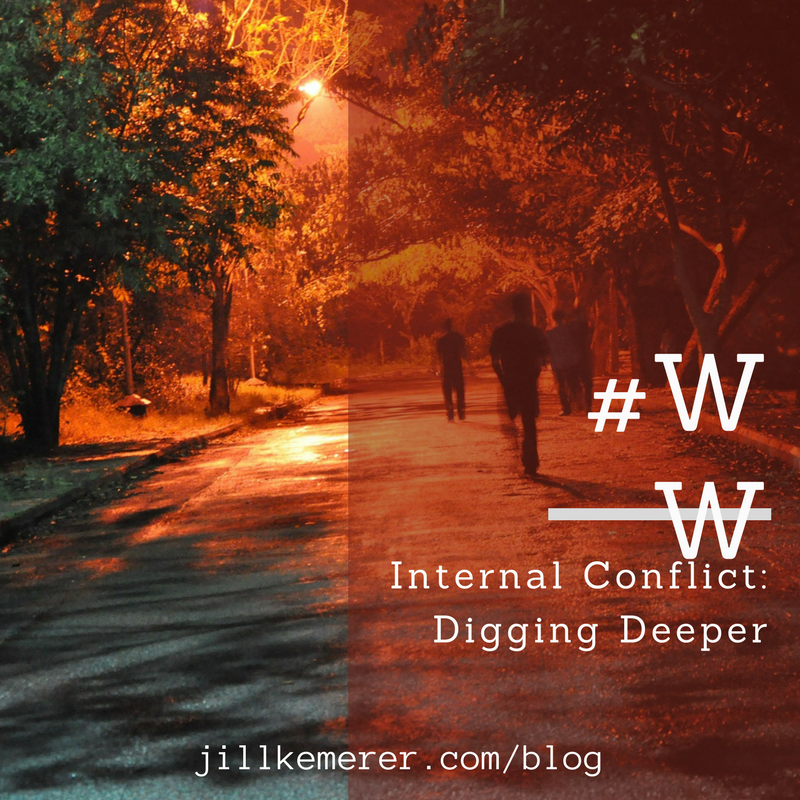 How do you deepen internal conflict? I’d love to hear YOUR best tips! I used to spend a few hours every day on social media sites, but a while back, I found myself wondering if it was all worth it. I wasn’t engaging with people as much, and I drastically cut back on sharing content. The majority of my time was spent merely scrolling through my feeds. I wasted a lot of time. The problem wasn’t social media. It was me. In the back of my mind, I knew I needed to make more of an effort. It felt daunting. Plus, I no longer had a few hours each day to spend on social media. As I’ve mentioned here before, last year I decided to push myself to reach higher annual writing goals, which meant doing the bare minimum on social media. My default has become putting in a consistent effort on my fave sites–Facebook, Instagram, and Twitter–for a month or two, but inevitably, a deadline or a persnickety manuscript will keep me offline for days at a time. Twitter, especially, used to be my favorite site to hang out on. Then it got overwhelming trying to keep up with my lists. And when I stopped keeping up with them, I no longer “got” Twitter. But I want to get it. I’m working on ways to be more consistent there, which led me back to a few blogs I’d bookmarked. If you’re interested in reviving (or starting) your Twitter engagement, here are the articles I thought you might enjoy. The first two are over a year old, but they’re worth reading. 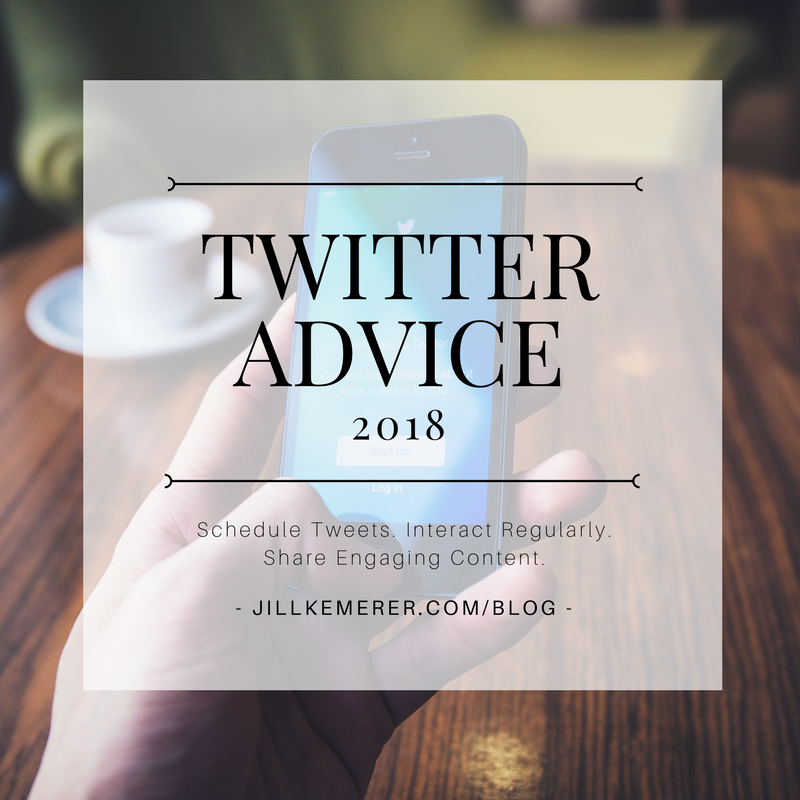 I used to schedule tweets using Buffer, and it worked well for me. On the days I was too busy to post, Buffer did it for me. Bottom line: I’m going to start doing that again. One of the reason I enjoy using Buffer is that it kicks me in the pants to read industry blogs and retweet them. I follow a lot of blogs, but rarely read them. Enter Feedly. By going to Feedly, I can scroll through the titles and quickly read/share the ones I find useful. As far as apps to use Twitter, I’ve gone back and forth using Hootsuite and Tweetdeck, and I always fall back on Tweetdeck. It’s a personal preference. I recommend finding the app that will make Twitter most engaging for you and sticking with it. Hootsuite does allow you to share one post across multiple platforms. I know Tweetdeck used to allow you to automatically share tweets to your Facebook timeline, but I don’t know if that feature is still available. A quick internet search didn’t provide answers, either. In my opinion, the key to Twitter is responding to mentions, sharing engaging content, and following back when someone follows you. I realize Twitter and Facebook are increasingly becoming pay to play sites, but they’re still worth it for me to spend time there now. Schedule tweets in advance using Buffer. Aim to interact on Twitter for 5 minutes in the morning and 5 minutes in the afternoons on most weekdays. Once or twice a month, read through Feedly to find blog posts to share. Do you use Twitter? What do you like about it? What are your best tips? If you don’t use it, why not? I’d love to hear your thoughts! 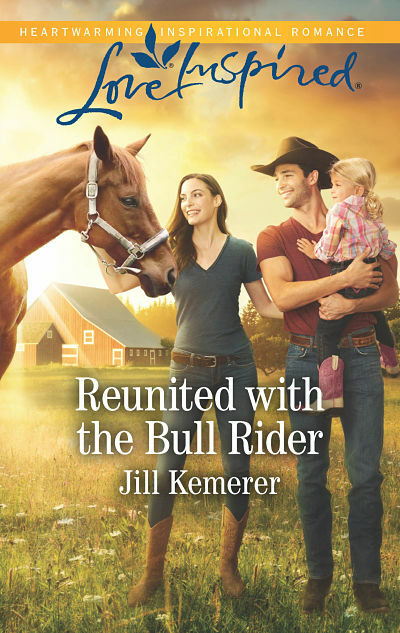 Hi, I’m Jill Kemerer, a Publishers Weekly bestselling author of inspirational romance novels and nonfiction. I post articles about the writing life every Wednesday, so be sure to subscribe below! New posts will be delivered to your email address. The information you provide on this form will only be used to provide you with updates. Your privacy is important to me! Check the box to sign up! Interested in a Romance Writer’s Group near Toledo, Ohio? 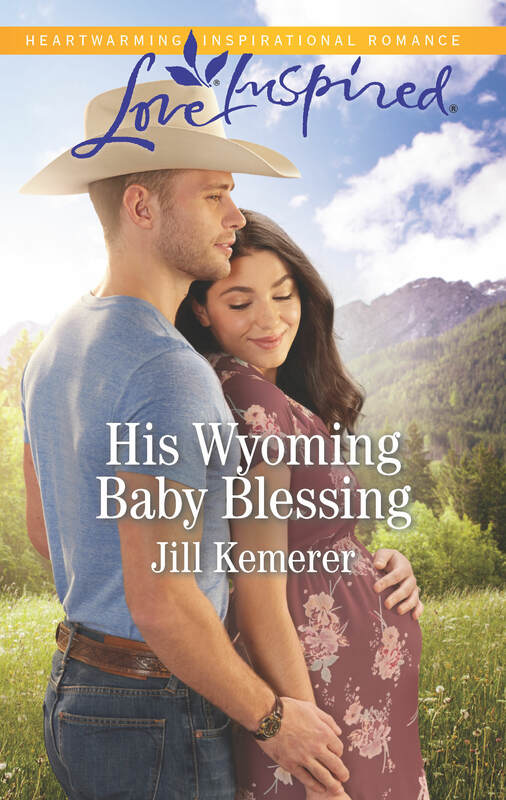 Maumee Valley Romance Authors, Inc.
His Wyoming Baby Blessing Releases Today! What Are Your March 2019 Goals? Copyright 2015-2019. Ripple Effect Press, LLC. All Rights Reserved. The content on this site is the sole property of Jill Kemerer. See link below. Subscribe for Book News, Recommendations, and Giveaways! Copyright 2015-2019. Ripple Effect Press, LLC. All Rights Reserved. Site Powered by Total Theme.